If a patient wants to have their silver fillings replaced, it is important to be aware of the fact that they can be exposed to mercury by ingesting or inhaling mercury vapor when amalgam is removed. That is why our office conducts a program for silver amalgam removal that protects both patients and staff during the removal process. Our program follows the highest standards for amalgam removal set forth by the International Academy of Oral Medicine & Toxicology (IAOMT). This protocol minimizes exposure to mercury vapor during amalgam removal, thereby protecting our patients from potential absorption of mercury into your system. We use an amalgam separator to collect mercury amalgam waste so that it is not released into the waste systems of the dental office. Each room where mercury fillings are removed has adequate filtration in place to remove mercury vapor and amalgam particles generated during the removal of one or more mercury fillings. We use protective gowns and covers for our doctors and patients so that all present in the room are protected because substantial quantities of particles generated during the procedure. It has been demonstrated that these particles can be spread from the patient’s mouth to the patient’s knee, and to the chest, shoulder, and neck of the dentist and dental assistant. Our protective gowns prevent this from occurring. Non-latex nitrile gloves, face shields, hair/head coverings and respiratory masks are used to protect our patients and our staff even further. This includes utilization of a “rubber” dam, removal of saliva beneath the rubber dam, breathing an alternate source of air, removal of air in the face area and water cooling of the fillings during removal. 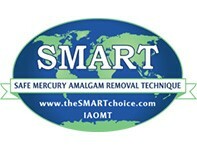 With all these safeguards and procedures in place, our amalgam removal is safe and effective. Our office has all the state-of-the-art equipment needed to provide for a comfortable experience for our patients. “I had some doubts about getting my mercury fillings removed because of the stories I heard about things that went wrong in the procedure. I decided to choose a holistic dentist for this procedure because I trust the fact that they take my whole body into consideration – not just my teeth. I went to Holistic Dental Center and had my mercury fillings removed by Dr. G. I was surprised to see all the precautions they take to make it completely safe for me. Their equipment and care were top of the line and made it very easy for me to relax and get the procedure done. I now have porcelain fillings and I feel 100% better and healthier. Thanks to Dr. G for his excellent care!” – M.N.